a person who is very interested in the arts. Nope. You don’t need any shiny qualifications or any of that nonsense to become a part of our team. All you need is a sincere passion for writing and an interest in anything related to the general content of us lot. We do not publish content surrounding recent deaths/tragedies out of respect to those concerned. Any content related to a sensitive story will be published a minimum of three days after the story breaks and will not be monetised with adverts. We also don’t publish anything on weekends or field emails. Vultures gotta rest. PLEASE NOTE: We only publish one book/album review a day for variety’s sake, so there’s usually a queue. Opinion pieces: 750+ words, but closer to a thousand is usually better to get your point across adequately. Reviews: varies. For instance, game reviews need to be 1000+ whereas film reviews can just be 500. Ideally, you would send every submission through Google Docs so that we can give you feedback more smoothly. Using Docs also avoids any file format issues. All you need to do is copy your Word/etc document into Google Docs and you should be good. Share it with us using the button in the top right and also give us editing access, and that’s it! You may need a Google account, however. Some Word files will open directly in Docs for us, but this doesn’t seem to be wholesale. It’s always best to copy and paste into Docs for us. If you don’t have access to Google Docs, we advise you to send everything in plain text in an email, so as to avoid compatibility issues with file types and the like. See the image below for clarification. If you do not follow either of these guidelines, we may not proceed with your submission. Nope! That’s all down to us so that we can stick to house rules and use license-free/press images. We will need less than thirty words on yourself, any social links (Facebook, Twitter etc) and a photo to flesh out your author bio. We will publish without these, but it’s probably better to market yourself with just these few bits of information. Please don’t include links within your bio text as we can’t actually link out due to CMS restrictions. A short summary of your thoughts and a score out of 10 is mandatory. Please see below. We don’t own your work. No copyright, no binding nonsense. It is yours. We’re just here to host it. Once/if you leave Cultured Vultures, you can ask for us to remove your work so it can be published elsewhere. Likewise, if you don’t like something you’ve written in the past, we can remove it at your request. The only thing we ask is that you do not publish the same content elsewhere while a version still resides on our site. That’s it. We aren’t the biggest website in the world, so we pay you what we realistically can. – £1* for every article published. – £2* per every 200 pageviews accumulated on your articles during its first week of publishing between Sunday and Saturday. *please note that we will send all money in GBP to remove some of the deficit for sending money internationally via PayPal. If your article gets recurring views, we will continue to send stats and make payment, though the “life expectancy” of most articles is roughly two days. It’s worth bearing in mind that we were originally established as a resource for new writers to help with feedback and vital experience. This means that we are a niche, so we may never pull the same numbers as a BuzzFeed or Gawker. There are no guarantees that your article(s) will hit the payment threshold, or that they will even perform well. If you are approaching CV with the view of receiving a regular, consistent income, please bear that in mind. If your article doesn’t manage 200+ views, we can work with you to help build your social profile, show you how to write captivating content, and many other essential aspects of being a writer in the modern world. We’re a site for writers, by writers. Most of the money we make from AdSense will be going back to you. Stats are sent and payments are made every Monday through PayPal. Google Analytics will be used as proof of total readership. In addition, we are able to offer some of our more frequent contributors the opportunity to interview some big names in film, music, and more, as well as to provide training on online publishing platforms such as WordPress. Finally, we like to attend many conventions and exhibitions, mainly throughout the U.K, and you could have the opportunity to attend as press. Bear in mind that sometimes content that should get read by plenty of people simply doesn’t and the stuff that you wouldn’t expect to perform that well actually does. It’s, for a lack of a better phrase, often a lucky dip. There can be no guarantees. – Takes/opinions on current pop culture news and events. – “On the button” news coverage (being a few hours late typically hampers your chances). – Longer content (1000+ words). – Informed and informative lists on contemporary media. We will always try to tell you if your pitch is likely to receive views or not, but again: we might be wrong. It’s the unpredictable nature of creating content. We send you your stats every Monday via email. Our usual publishing time between receiving an article and it going live is 1-7 days, but this depends on certain factors. *Please send any general submissions/those without an assigned editor to Jimmy. Alternatively, you can also CC in Jimmy for a quicker response as he is always in the office. We CANNOT republish content that is already on other websites, personal blogs included. Likewise, we ask that you let us know if you want to reproduce your piece elsewhere, at which point we will have to remove your piece from the site. We also don’t do guest posts. 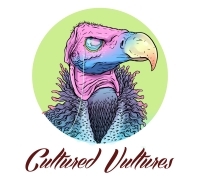 Find out more about becoming one of the Cultured Vultures on our about us page.